The summer was great, long and hot. We could double the turnover compared to 2017. 2019 is the 10th season for Indiana SUP. We created Indiana Paddle & Surf as the roof brand with Indiana SUP, SURF and FOIL beyond. 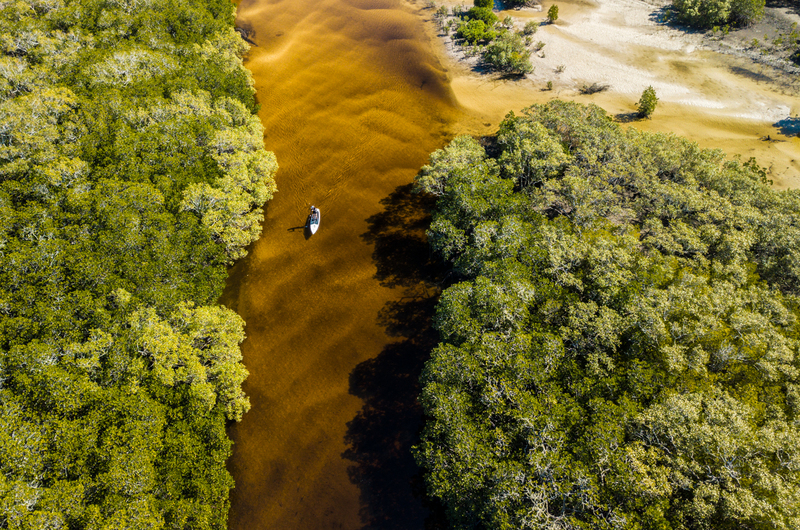 From a pure SUP brand, we like to grow into a watersport brand. We will present a completely new logo and graphics. The well-accepted tiki style on the limited edition boards and surfboards will be freshly adapted on all products. The classic edition will stay with lots of white, grey and black. The yacht-design with decent colours is well accepted and appreciated on the market. For the limited edition SUPs and all the surfboards and Foilboards we are louder and more colourful. 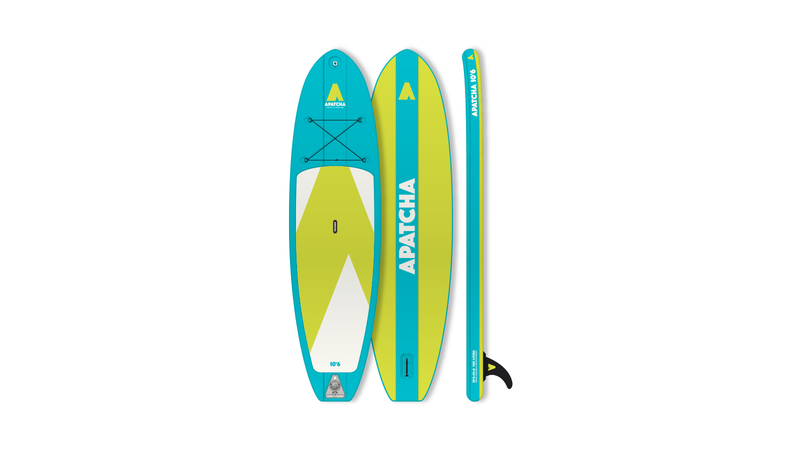 To cover the lower price market we created a new brand: APATCHA Stand Up Paddling, the inexpensive brand from Indiana Paddle & Surf. Two boards from 599 to 699 Euro incl. a Kajak Seat option with some accessories is offered. It’s the whole package with materials, style and shapes. All of the over 60 SUP and surfboards have a clear target group and range of use. Concerning numbers it is the Inflatable 10’6 family package incl. Everything for 899 Euro. The classic Touring boards 11’6 and 12’6 were sold very well too. We are working a lot to improve details, no big new technology. Our inflatable SUP technologies are up to date with single layer or fusion double layer with PVC belts and fibreglass compression belts on top and Dyneema tension belt on the bottom. A small carbon tape will be added on top of the railtape. It’s still just image and marketing, but we invest quite a lot of time and money. We will have 2 hollow carbon 14’ raceboards and 4 carbon raceboards with foam core for flatwater and ocean. We’d like to grow our race team. Complete new is our inflatable 14’ raceboard with a width of 25 inches. Yes, we developed together with our shaper Andi Widmann and our foil expert Gunnar Binniasch different foilboards and foils. There are 2 different carbon front wings with 120 and 85 cm span and 3 alu mast options with 50, 75 and 90 cm. There is a 4’10 wakefoilboard, a 5’2 kitefoilboard, two pro-SUP foilboards with 105 and 130 litres and 2 7’8 SUP/Windsurf Foilboards.